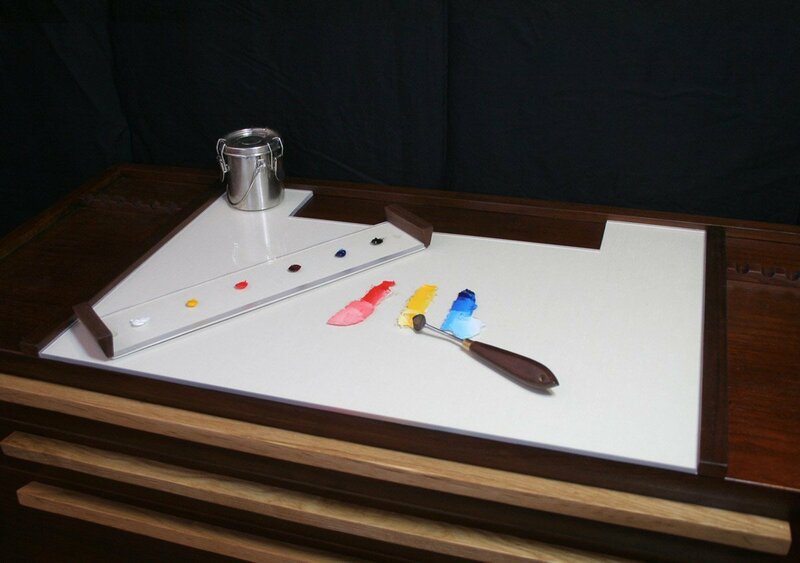 With my renewed interest in oil painting, I decided that I needed a proper artist taboret for my studio. I had some pretty specific ideas in mind about what features I would need. 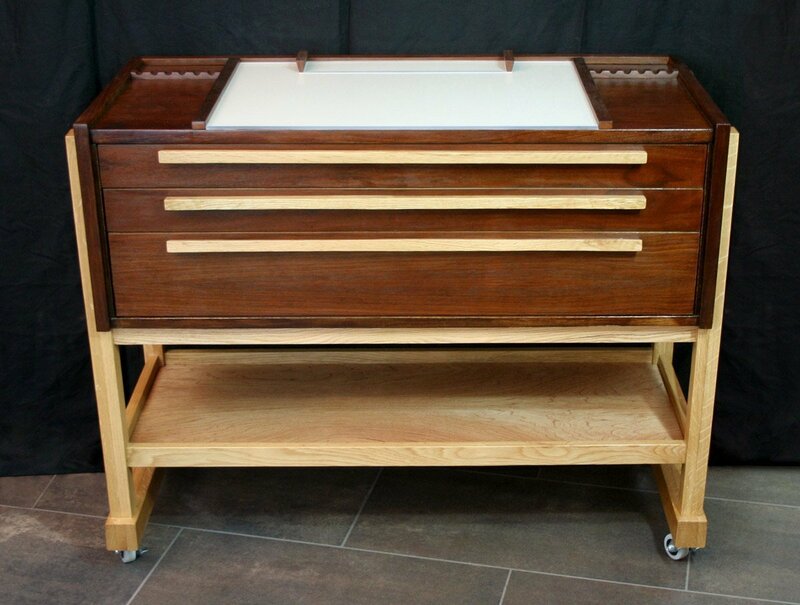 There are a number of commercially available taborets that would reasonably fit the bill, but none that I could reasonably afford. 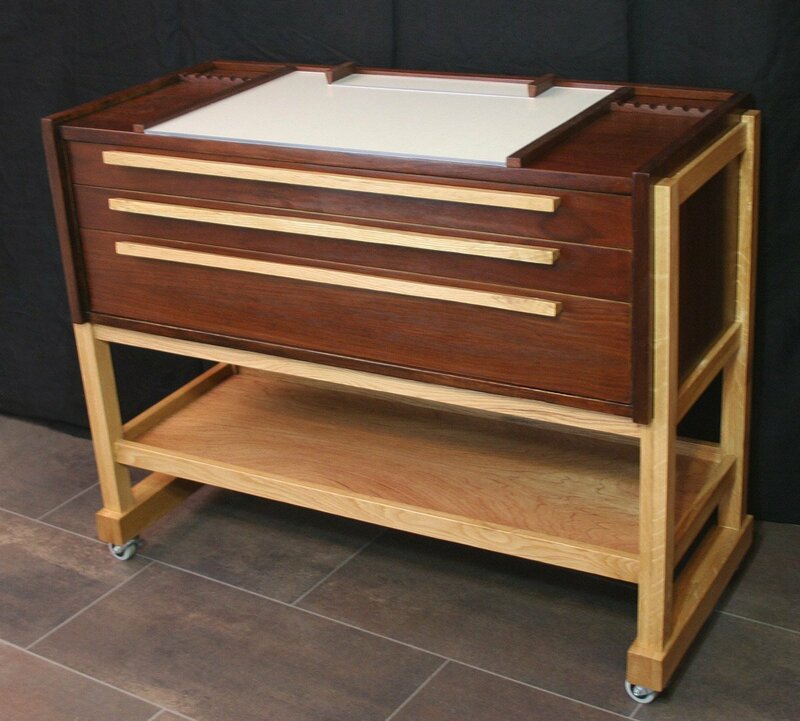 Do-it-yourself walnut and oak artist taboret for under $200. 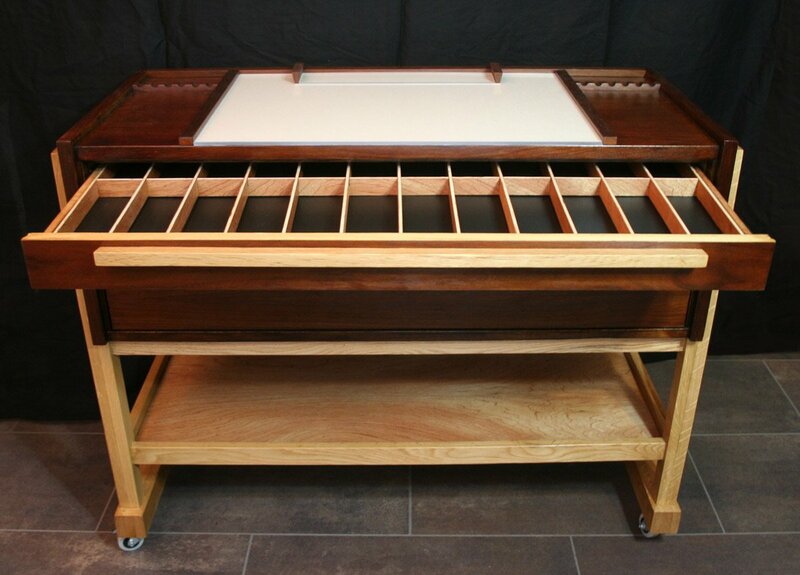 Work surface with glass mixing area, three drawers and lower tray. 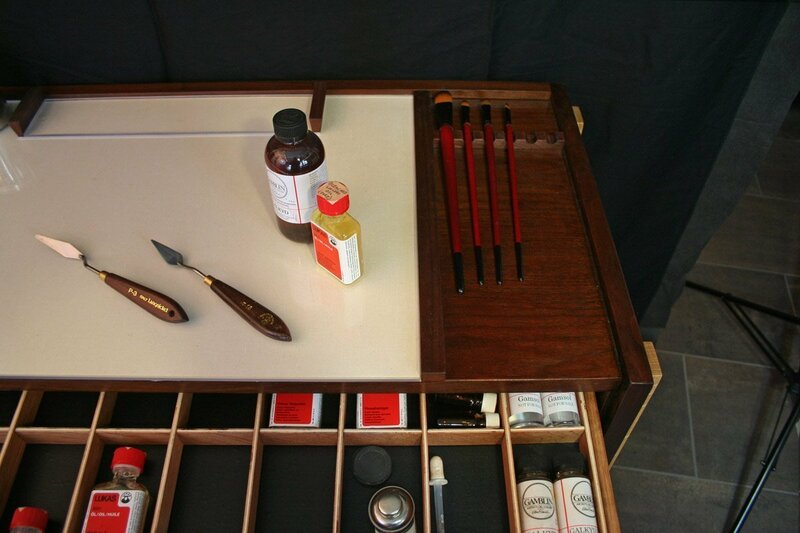 Top drawer with removable dividers for large tubes of paint, mediums, etc. 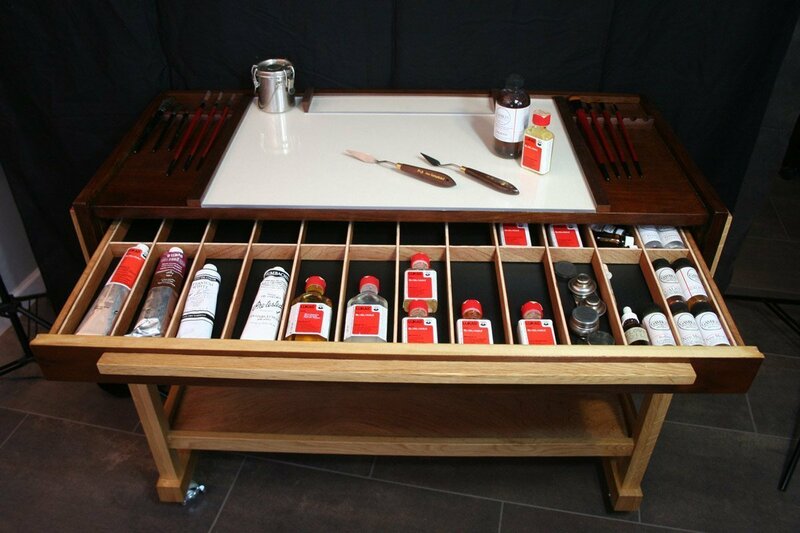 Middle drawer with organizers for many 37ml tubes of paint. There are three rows, although only two are visible in this photo. 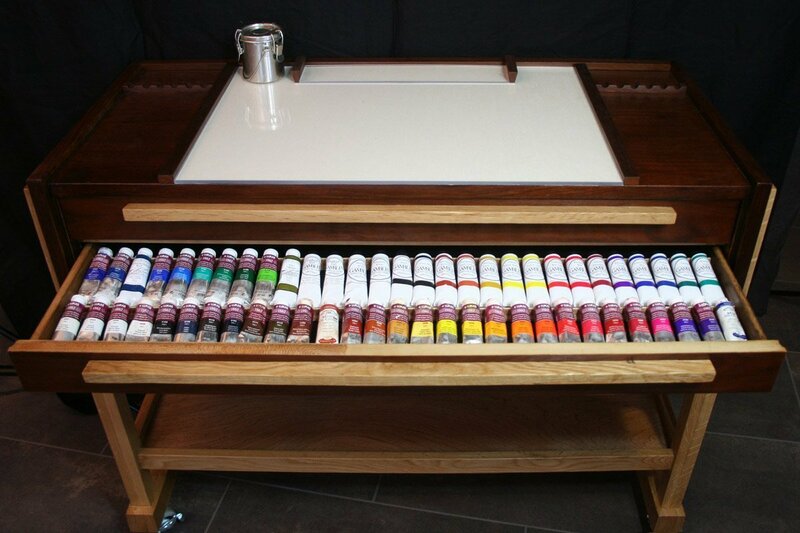 The top drawer accommodates large tubes of paint (150-200ml). The brush rest can be seen on the right. 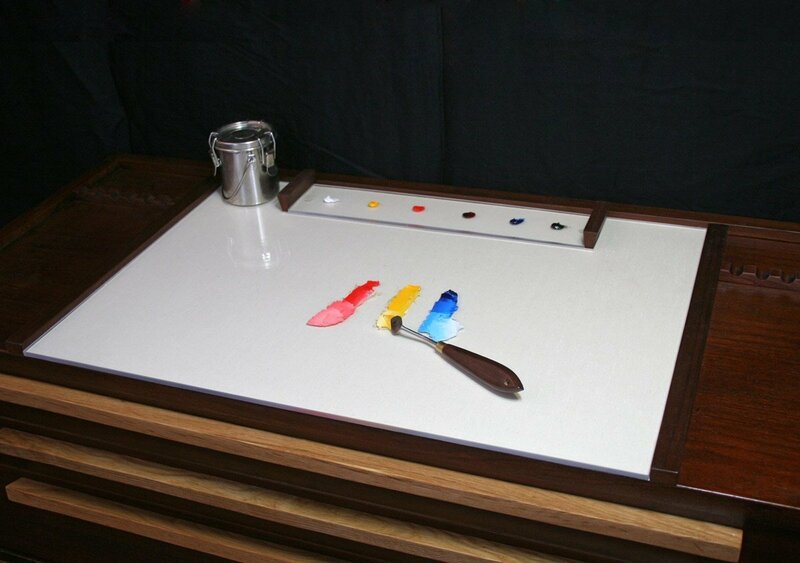 The paint drawer organizers can hold eighty-seven 37ml tubes of paint. 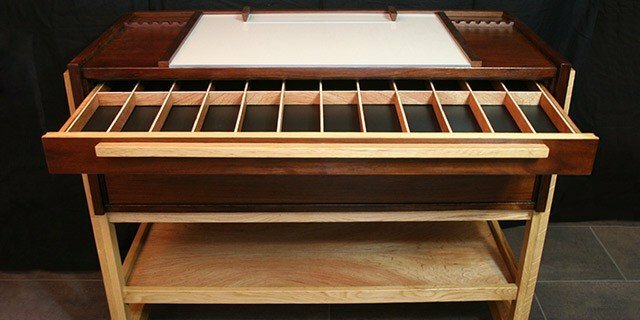 I can place the removable tray in an air tight box with some clove oil and the colors I’ve squeezed out can remain usable for days. Hi Michael. 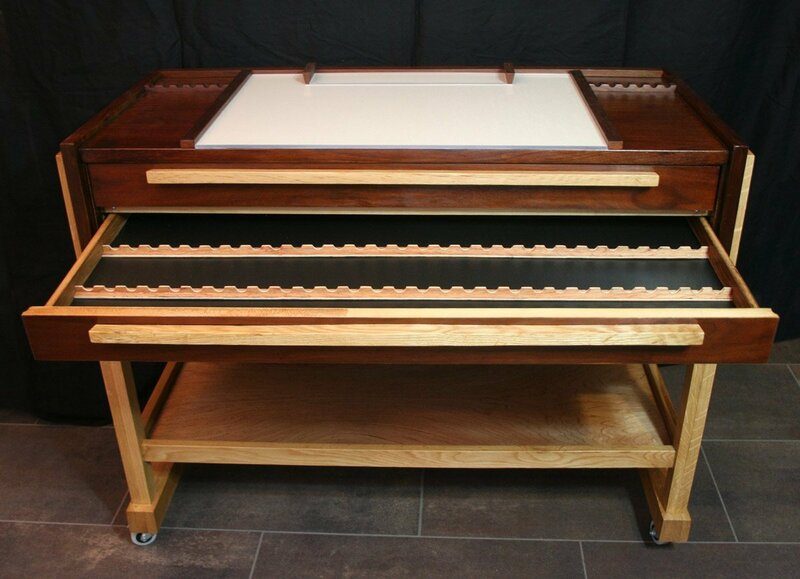 I’m sorry to say I do not have plans drawn up for the taboret at this time. Presenting Our Newest Wall Easel Designs! Our New Woodworking Shop is Complete!